It takes the average home buyer under a minute to decide if they like a home well enough to buy, so home sellers must go the extra mile to ensure their property is one that stands out from the crowd and doesn’t sit on the real estate market for a long time period. With a competitive housing market, it’s more important than ever before to make a good impression. However, capturing the interest of a buyer from the moment they walk in the door isn’t as difficult as some would think it to be. 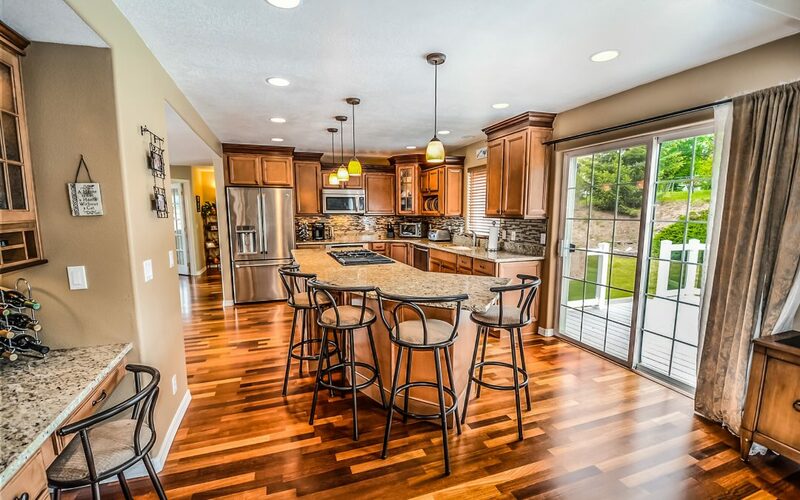 Home staging benefits sellers by making the home more attractive to potential buyers. Using a variety of techniques and tools, staging experts turn a property into a piece of art. The property appears larger, as every square foot of space is used in the most advantageous of ways. The true functionality of the home is best presented after staging since it creates the most appealing environment to the widest range of potential buyers. A picture-perfect home is possible when professional home staging experts begin refining your space. These experts understand the techniques that work for the exact structure and layout of the home, working to stage both vacant and non-vacant homes. They’ll quickly stage the home in such a way that imperfections are minuscule in comparison to the beauty and appeal the home brings forth. Making the most money during the sale of the property is important. After all, a considerable amount of money went into the original purchase and the memories that are being left behind are priceless. Home staging benefits sellers by increasing the overall value of the property, resulting in a higher selling price than a home that has not been staged. A properly, professionally staged home spends less time on the market than the competition. When it is time to sell a home, it is important to sell it quickly. After all, many are caught in a limbo when their home is on the market, ready to move forward but unable to do so with the impending transaction. A decrease in the time the home spends on the market is noted with homes that are staged. How’s that for a fast sale? Home staging benefits sellers in ways that appeal to anyone selling their home. There are many other exciting advantages enjoyed when staging is used to sell a home in addition to those listed here. Gaining these great benefits for your own real estate transaction is simple when a staging professional is consulted and hired to implement this service. For ideas on how to DIY stage your home, check out this article. Advantage Inspection Services provides professional inspections to Central Pennsylvania including Pre-Listing Inspections for home sellers. As a seller, having a Pre-Listing Inspection gives you a major advantage over your competition. Contact us to schedule our inspection services.